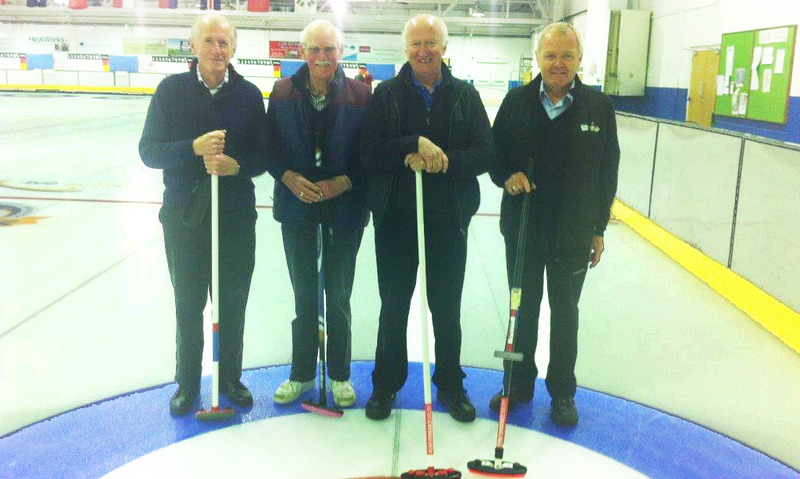 Ayr sent a rink to the Charity curling day at Perth on Tuesday 3 November in aid of the Matt Murdoch Foundation. The Ayr rink skipped by Jim Nelson won two and lost two games so were reasonably pleased with the outcome. Alan McHarg of Alloway Rotary Club kindly agreed to play as a substitute for Geoff who decided he had a greater need to be at home with Jan and her broken wrist. raised circa. £700 for the Foundation. A very enjoyable day meeting fellow Rotarian curlers from all across Scotland despite pretty poor driving conditions there and back in the fog ! For the record I have been selected to join the outgoing tour from 29th October to 26th November 2016 so maybe I should apply now for leave of absence!